LAKE CHARLES, LOUISIANA (July 27, 2016) Sam Houston State, which is coming off an 11-4 season and a run to the national semifinals, was picked as the favorite heading into the 2016 season as voted on by the league’s coaches and sports information directors, the league announced Wednesday at its annual media day at L’auberge Resort. Sam Houston was the top pick by the coaches and the SIDs, receiving eight first-place votes and 99 points total in the coaches’ poll and nine first-place votes and 99 points in the SID poll. McNeese, last year’s regular-champion, earned the final two first-place votes from the coaches and the final first-place ote from the SIDs. Coaches and SIDs could not vote for their own team. The Bearkats will be looking for their seventh conference title and are coming off a 7-2 mark in league play last season. Sam Houston returns 16 starters and 52 lettermen, including the preseason all-conference junior wide receiver/all-purpose player Yedidiah Louis and preseason all-conference junior defensive end P.J. Hall. Last season, the Bearkats reached the semifinals last season for the fourth time in five years. 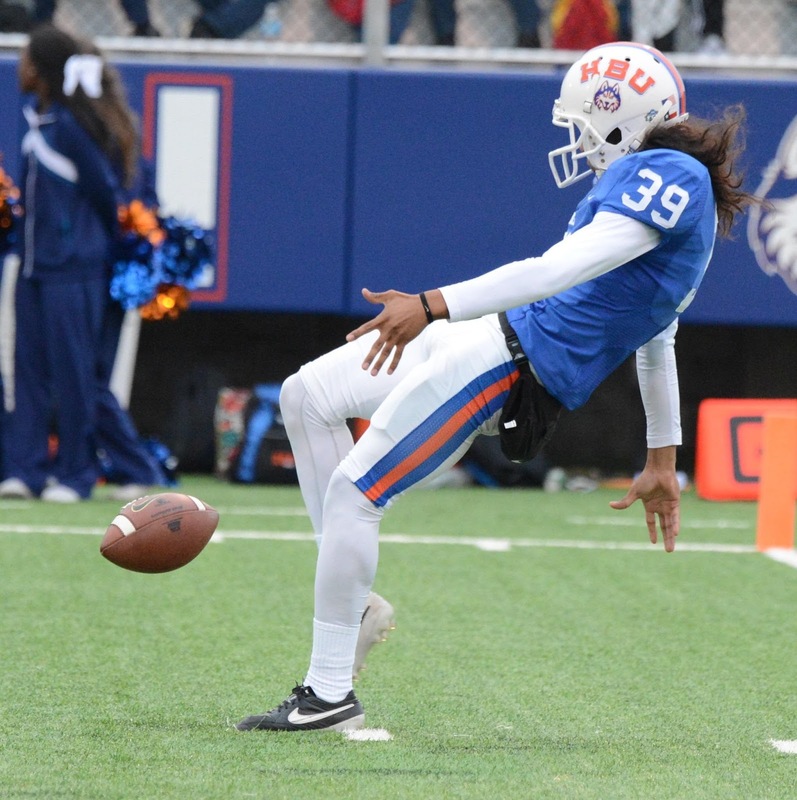 Nine preseason all-conference selections return on the offensive side for Sam Houston, while five defenders who received all-conference accolades return to Huntsville. McNeese, which concluded last regular season as the only unbeaten FCS team at 10-0, was picked second in both polls with 92 points from the coaches and 86 from the SIDs. 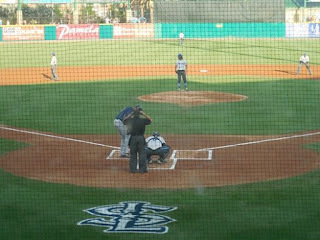 The Cowboys, who will be under the direction of new head coach Lance Guidry, return 13 starters and 69 letterwinners. After finishing 7-4 overall and 7-2 in conference last season, Central Arkansas was slated third in both polls with 79 points from the coaches and 84 from the SIDs. The Bears return 10 preseason all-conference selections to a team that won four of their last five games to conclude the year. Lamar was tabbed fourth in both polls after tying for fifth last season with a 4-5 league mark. The Cardinals, who return the league’s all-time single-season rusher in Kade Harrington, picked up 67 points in both polls. Stephen F. Austin rounds out the top five in both polls with 60 points from the coaches and 66 from the SIDs. The Lumberjacks tied with Lamar last season at 4-5 in conference and will turn to senior quarterback Zach Conque to lead the offense. Rounding out the final six spots in coaches’ poll are Southeastern Louisiana, Northwestern State, Abilene Christian, UIW, Nicholls and Houston Baptist. The six through 11 slots in the SID poll are listed as Northwestern, Southeastern, UIW, Abilene Christian, Nicholls and HBU. 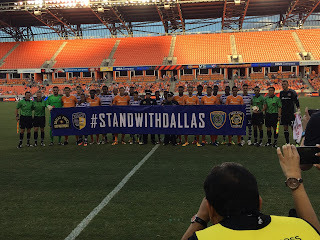 HOUSTON, TEXAS (July 23, 2016) After battling for 90-plus minutes, the Houston Dynamo and the Vancouver Whitecaps FC battled to a scoreless draw in front of 16,465 fans at BBVA Compass Stadium in Houston on Saturday, July 23, 2016. With the draw, the Dynamo move to 4-9-7 (19 points) in 2016 while the Whitecaps post an 8-8-6 (30 points) record. Both teams used a strong and stingy defense in the match which saw 26 shots (17 for Houston, 9 for Vancouver) with four shots on target for both teams. The Dynamo extended their home shutout streak to 491 minutes and have not conceded a goal at BBVA Compass Stadium under interim head coach, Wade Barrett. When questioned in the post-game press conference about if there is anything in particular the team can work on to help their recent scoring issues, Barrett responded. Next up for the Dynamo will be a Sunday, July 31 matchup against the San Jose Earthquakes at 7:15 p.m. CDT. Houston fell 3-1 at San Jose on May 11 and will be looking to even the season series against former manager Dominic Kinnear. 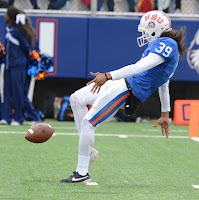 FRISCO, TEXAS (July 21, 2016) The Southland Conference announced the 2016 Preseason All-Conference Football Teams on Wednesday, July 20, 2016 and Houston Baptist University placed two players on the elite squad. Junior Christian Guzman, who is a punter for the Huskies and junior linebacker Garrett Dolan were named to the team, as released by the conference office. 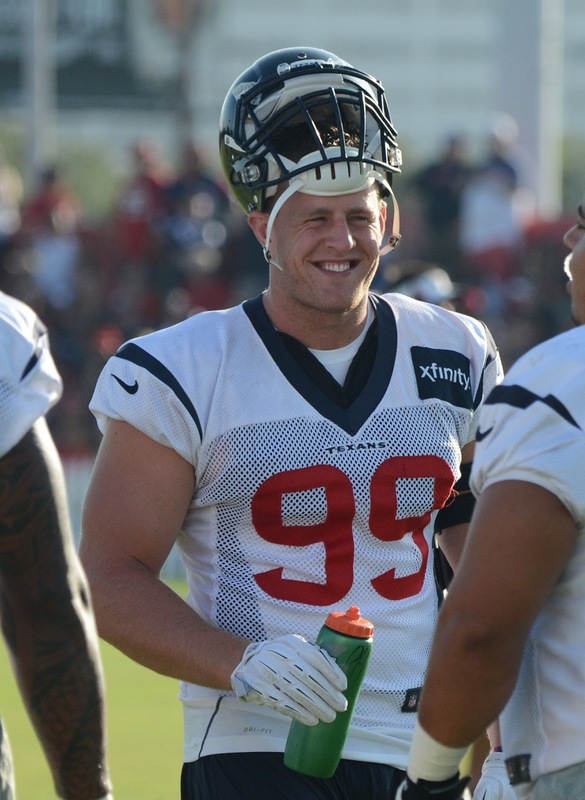 Guzman, who played his prep football at Royal High School in Brookshire, Texas was named to the first team in the preseason all-conference team. 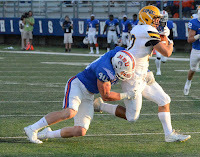 In 2014, he was a Southland All-Conference Second-Team selection and was named to the FCA Freshman All-America First Team selection by TonySoftli.com. In 2015, he was ranked tenth nationally with a punting average of 43.6 yards. 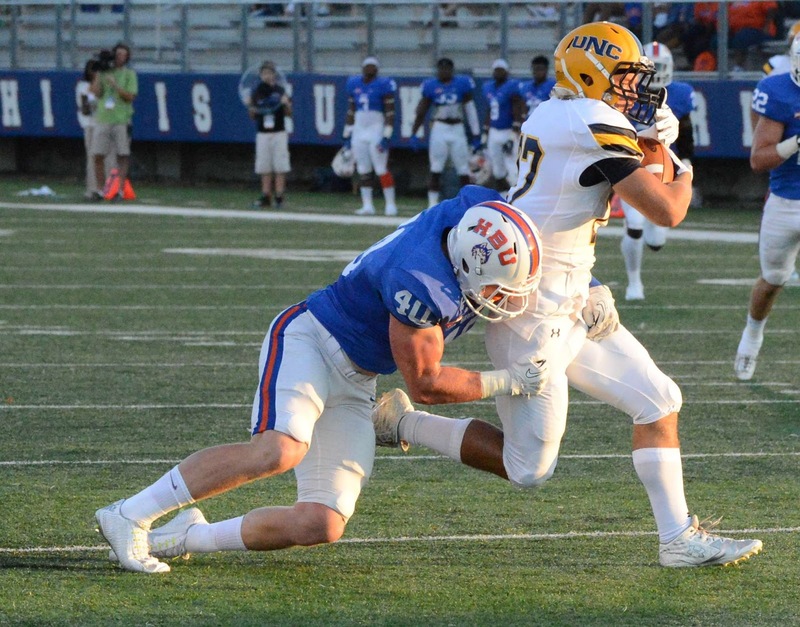 Dolan, who was named to the second team, is a two-time post season Southland All-Conference honorable mention The Mont Belvieu, Texas, native ranked second in the conference and 13th in the nation with 11.0 tackles per game. He recorded 110 stops, including 42 solo tackles. with 6.5 for losses, 1.5 sacks, two forced fumbles and a fumble recovery. The Huskies open the 2016 season against Southland Conference foe Central Arkansas on Thursday, September 1, 2016 at Estes Stadium in Conway, Arkansas. Kickoff is set for 7 p.m. CDT. HOUSTON, TEXAS (July 21, 2016) Battling for 90 minutes without the ball finding the back of the net, midfielder Fabian Castillo found the ball loose at the top of the penalty area; skillfully maneuvering the ball past the Houston Dynamo defense and aptly scored to give FC Dallas a 1-0 win in the quarterfinal of the Lamar Hunt U.S. Open Cup. 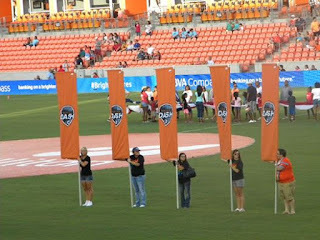 The match, which was contested at Houston’s BBVA Compass Stadium on Wednesday, July 20, 2016. After nearly 90 minutes of play, neither team could find a way to get the ball into the goal. It was not through lack of trying. In fact, but teams moved the ball down the field with precision. However, most of the time the advances were met with a stingy defense that seemed to be in the right place at the right time. With the win, Dallas advances to the semifinal match in the tournament; its eighth in club history. Dynamo interim head coach Wade Barrett talked about the game in the post-game press conference. 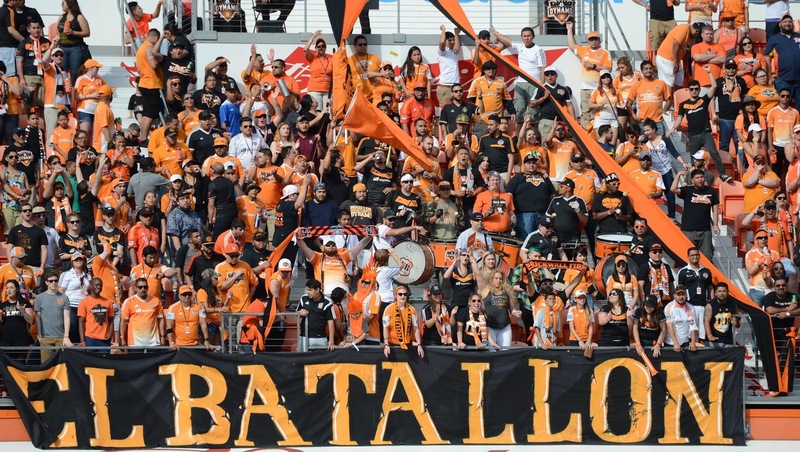 Next up for the Dynamo will be a Saturday, July 23 game against Vancouver Whitecaps FC. team-high 10 rebounds and four assists in Wednesday’s win. 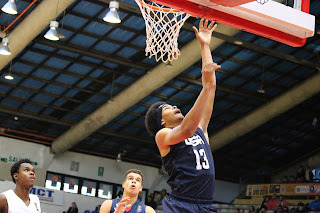 VALDIVIA, CHILE (July 20, 2016) University of Texas freshman Jarrett Allen posted seven points, a team-high 10 rebounds and four assists to help Team USA (2-0) to a 107-63 victory against the U.S. Virgin Islands (0-2) in preliminary round play at the 2016 FIBA Americas U18 Championship on Wednesday afternoon. Allen, who started the game, added one block and one steal in 20 minutes. UT freshman James Banks recorded one point, five rebounds and one blocked shot in 13 minutes. Texas coach Shaka Smart is serving as head coach for the USA team. The Americans conclude preliminary round Group B play against host Chile on Thursday, July 21 at 7:15 p.m. Central. The top two teams from each preliminary round group will advance to the semifinals on Friday, July 22. On Saturday, July 23, the semifinal winners will meet in the gold medal game, and the semifinal losers will play in the bronze medal game. In addition to pursuing a gold medal, the top four finishing teams will earn a qualifying berth in the 2017 FIBA U19 World Championship. All games during the FIBA Americas U18 Championship for Men will be streamed live on FIBA’s youTube channel: www.youTube.com/FIBA. VALDIVIA, CHILE (July 19, 2016) University of Texas freshman Jarrett Allen posted 18 points and eight rebounds to help Team USA (1-0) to a 103-70 victory against Puerto Rico (0-1) in the opening game of the 2016 FIBA Americas U18 Championship on Tuesday afternoon. Allen, who started the game, converted 9-of-15 field goals and added one assist, one block and one steal in 21 minutes. UT freshman James Banks recorded four points on a pair of emphatic dunks, four rebounds and one blocked shot in nine minutes. Texas coach Shaka Smart is serving as head coach for the USA team. 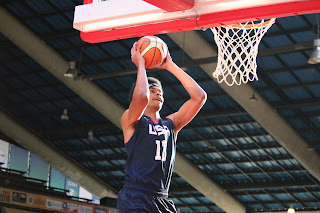 The Americans return to the court against the U.S. Virgin Islands at 2:45 p.m. Central on Wednesday, July 20. 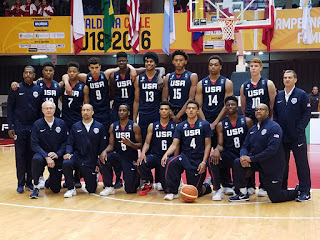 Team USA will then conclude preliminary round Group B play against host Chile on Thursday, July 21 at 7:15 p.m. Central. 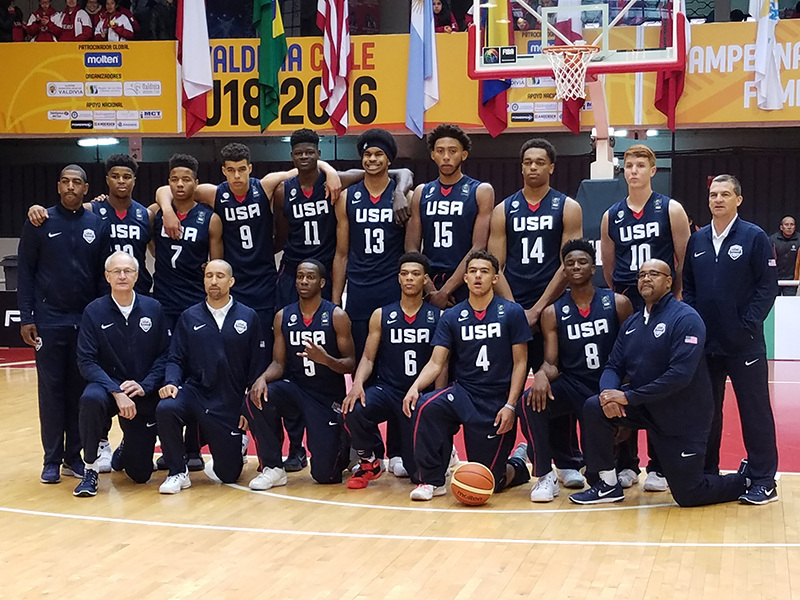 In addition to pursuing a gold medal, the top four finishing teams will earn a qualifying berth in the 2017 FIBA U19 World Championship. All games during the FIBA Americas U18 Championship for Men will be streamed live on FIBA’s YouTube channel. Please follow The University of Texas’ Men’s Basketball official Twitter page (@TexasMBB) for links to live video and live stats throughout the tournament. 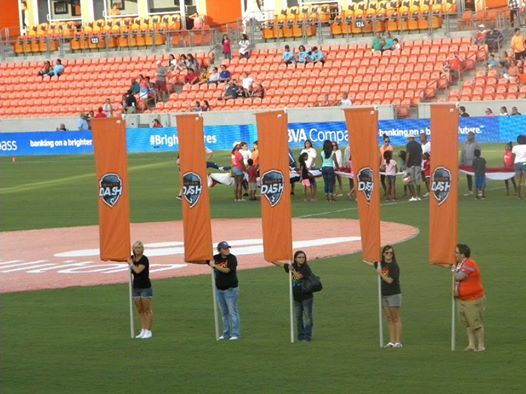 HOUSTON, TEXAS (July 16, 2016) The Houston Dash came into BBVA Compass Stadium on July 16, 2016 against Portland Thorn FC posting a six-game losing streak. After 90-plus minutes of play, the Dash ended that streak with a 3-0 win over theor NWSL rival in front of 5,661 fans on a humid Saturday evening. The Dash did not waste any time in taking the early lead. Forward Rachel Daly nailed a perfect cross kick into the right side of the net past Portland goalkeeper Michelle Betos in the 7th minute to give the Dash the 1-0 lead. Fellow forward Kealia Ohai was credited with the assist; her sixth of the season. It was the second goal of the season for the Harrogate, England native; who scored her first goal of the season against Chicago on April 16, 2016. Houston added their second goal of the game when Rebecca Moros took a shot from 20-yards out. The ball deflected off a Thorn player and travelled right in front of Amber Brooks. The fleet-footed Brooks made a run to the six-yard box and drove it home for her first goal of the season. They added an insurance goal in the 83rd minute when Ohai dribbled into the box past two defenders; beating Betos at the near post for her fifth goal of the season. The game was the first multiple-goal game for Houston in 2016 and raised their season record to 3-7-1 for the season. It also improved their home record to 2-2-1 and gives them a 1-1-0 in July after a dismal 0-3-0 record in June. Both teams played without the service of key players; as they prepare for the upcoming Olympic Games in Rio de Janeiro, Brazil. Next up for the Dash will be a Saturday, July 23 matchup against the Chicago Fire at Toyota Center in Chicago. 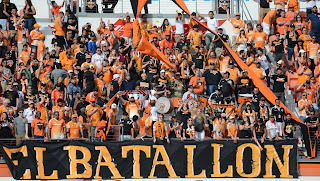 They return home for a Saturday, July 30 game against Western New York Flash. COLLEGE STATION, TEXAS (July 8, 2016) After blasting their way through pool play, Kaufman powered their way to the Division II Championship at the Texas State 7on7 Football Championship at Veterans Park and Athletic Complex in College Station, Texas on Friday, July 8, 2016. They bested Somerset by the score of 32-27 for their first state title in the 19-year history of the tournament. Kaufman went 3-0 in pool play, downing Falls City 44-14, Reicher 29-7, and Levelland 36-27 on Thursday, July 7. They came back and played five games in seven hours in the championship round in route to the title. In their first game on Friday, July 8, they downed Wylie 24-13 in a 9 a.m. game. The came back at 10:15 a.m. to defeat Silsbee 34-28 in overtime before facing Cameron in the semi-final round. The quickly bested the Yoeman 38-18 and advanced to the semifinals to face Argyle. In the 2 p.m. game, they downed Argyle by the score of 28-21 to advance to the final against undefeated Somerset. In the consolation bracket of Division II, Grace defeated Bay City by the score of 52-27. 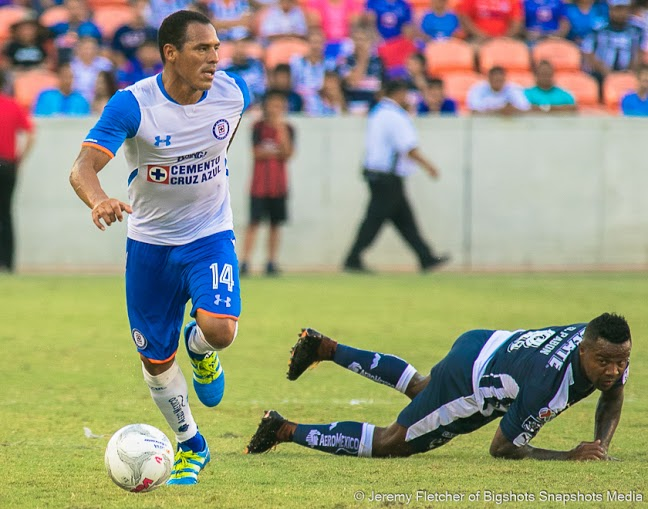 HOUSTON, TEXAS (July 4, 2016) In the 89th minute, Cruz Azul got a break and scored the winning goal, giving them a 2-1 win over Monterrey in the semifinals of the MoneyGram SocioMX Cup at Houston’s BBVA Compass Stadium on Sunday, July 3, 2016. 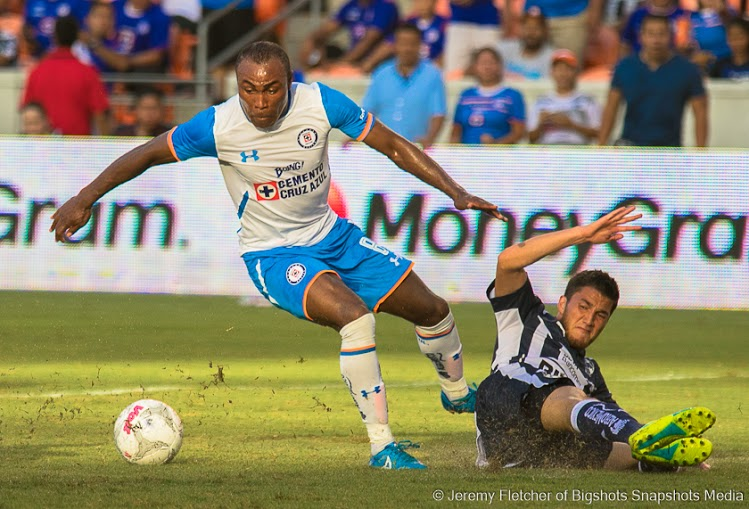 Monterrey will next face Pumas UNAM in the double-headed final at Cotton Bowl Stadium on Wednesday, July 6, 2016 with Cruz Azul and Club Santos Laguna facing off in the other match. It took 42 minutes of play before the ball found the inside of a goal. Monterrey’s Dorlan Rabon received the ball about 30 yards out, dribbled it down the right side, and cutting inside to avoid Cruz Azul defenders. At the top of the box, he drilled it past goalkeeper Jose de Jesus Corona. Cruz Azul tied the score in the 47th minute when Joffre Guerron got the ball at midfield; dribbling it down the field and shooting from the tip right side of the box for the score. They secured the game victory with the winning goal in the 89th minute with a shot by Victor Zuniga. In previous games of the tournament, Cruz Azul fell to Club Tijuana Xoloitzcuintles 2- 1 at Los Angeles Memorial Coliseum on June 29. In the other semi-final game, on July 2, Club Santos Laguna downed Pumas UNAM 2-1 at Avaya Stadium in San Jose, California on July 2. SUGAR LAND, TEXAS (July 4, 2016) The Sugar Land Skeeters kicked off the second half of the 2016 Atlantic League season with a 2-1 win over the New Britain Bees at Constellation Field in Sugar Land, Texas on July 4, 2016. After the game, the 8,606 fans in attendance, which was a stadium record, we treated to a fireworks display to celebrate Independence Day. The Bees got on the scoreboard in the third inning on a Jovan Rosa double, scoring Jon Griffin. Delwyn Young evened the score in the fifth inning on an infield single by Bremer Weems. Skeeters starting pitcher Roy Merritt received the win, his second of the season, pitching six innings and giving up the single run off six hits. Brian Dupra was credited with the loss while Sugar Land’s Derrick Loop received is 16th save of the season. The Skeeters will continue their current three-game home stand against the Bees on Tuesday, July 5 and Wednesday July 6 with a 7:05 p.m. CDT start both days. HOUSTON, TEXAS (July 2, 2016) The Houston Dynamo and the Philadelphia Union battled on the grass at BBVA Compass Stadium for 90-plus minutes and in extra time of the second half, Houston connected after a yellow card free kick. As a result, they downed the Union by the score of 1-0 on Saturday, July 2, 2016 to secure their fourth win of the season. The win raises the Dynamo’s record to 4-6-5 (18 points) while the Union post a 7-6-5 (27 points) record. In 13 previous meeting, Houston held a 5-4 advantage, with four games ending in a draw. 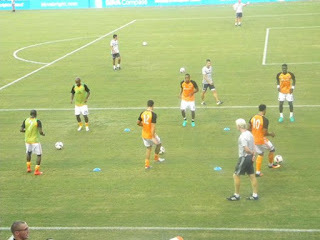 The Dynamo remain in the cellar of the Western Conference while the Union hold the top spot in the Eastern Conference. The goal came in extra time of the second half when Union midfielder Warren Creavalle pulled down Boniek Garcia outside the box to receive a yellow card. Christian Maidana took the free kick and sent the ball into the net past Union goalkeeper Andre Blake. 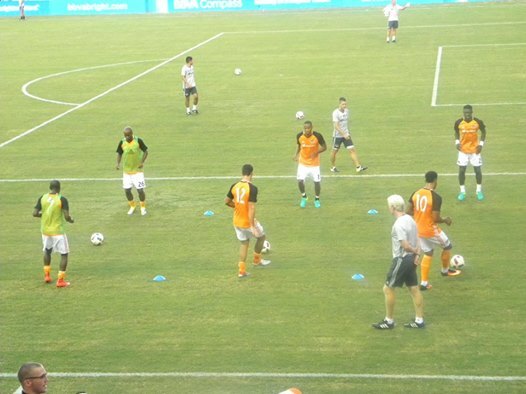 The game got off to a fine start in the second minute of play for the Dynamo when Philadelphia defender Josh Yaro was issued a yellow card. He received a second yellow card in the 87th minute. Next up for the Dynamo is two road trips. On Friday, July 8, they face Orlando City followed by a July 15 matchup against Los Angeles. They return home on July 23 against Vancouver.